Japan's public broadcaster mistakenly sent an alert warning citizens of a North Korean missile launch and urging them to seek immediate shelter, then retracted it minutes later. 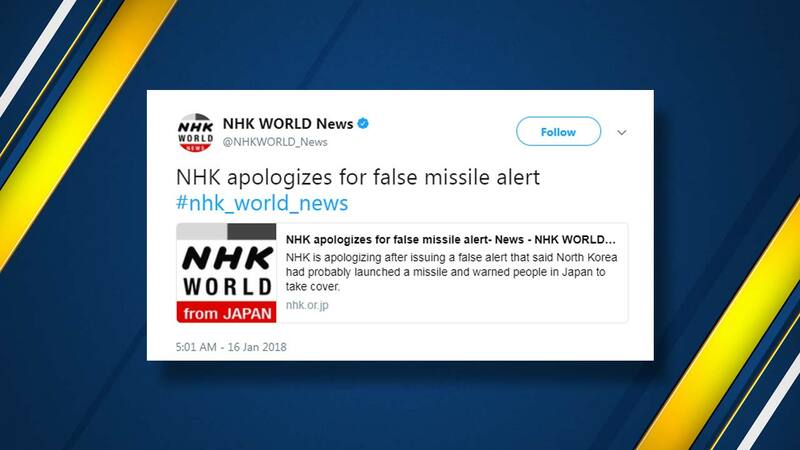 TOKYO (KFSN) -- Japan's public broadcaster mistakenly sent an alert warning citizens of a North Korean missile launch and urging them to seek immediate shelter, then retracted it minutes later, days after a similar error in Hawaii. The false alarm came two days after Hawaii's emergency management department sent a mistaken warning of a North Korean missile attack to mobile phones across the state, triggering panic.